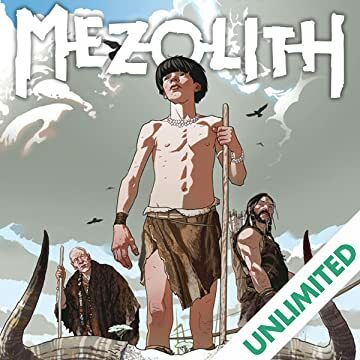 "What's to Love: Mezolith is an award-winning British graphic novel that we are excited to publish for the first time in the U.S. because it's a captivating, coming-of-age story with lush, gorgeous art! Writer Ben Haggarty is a renowned performance storyteller, having been appointed Honorary Professor of Storytelling at the Arts University of Berlin, and illustrator Adam Brockbank is a storyboard and concept artist who has worked on the Captain America, Spider-Man, and Harry Potter films. The pair have collaborated to produce one of the best-looking books you'll see all year. 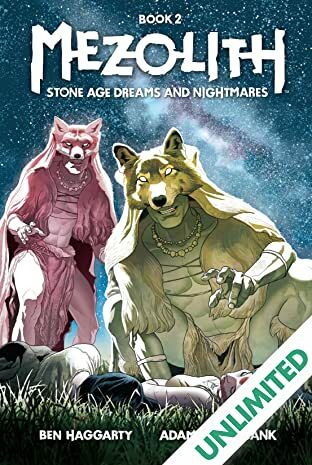 What It Is: 10,000 years ago, the Kansa tribe live on the eastern shores of Stone Age Britain, where danger is never far away. Each season brings new adventures, each hunt has its risks, and each grim encounter with the neighboring tribe is fraught with threat. 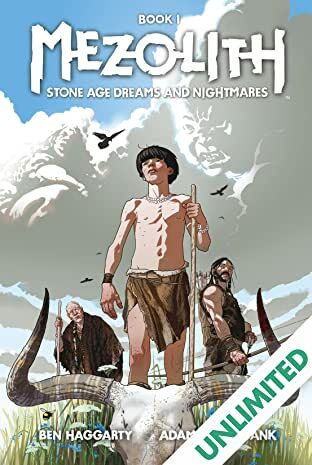 Poika, a boy on the verge of manhood, must trust the wisdom of his elders and endure life''s rites of passage as he finds his place in the tribe. "Violent, beautiful, magical, compelling..." - The Times "